If you have made changes to elements in your previous design template, such as the header or fonts, you can retrieve these settings after selecting a new design. 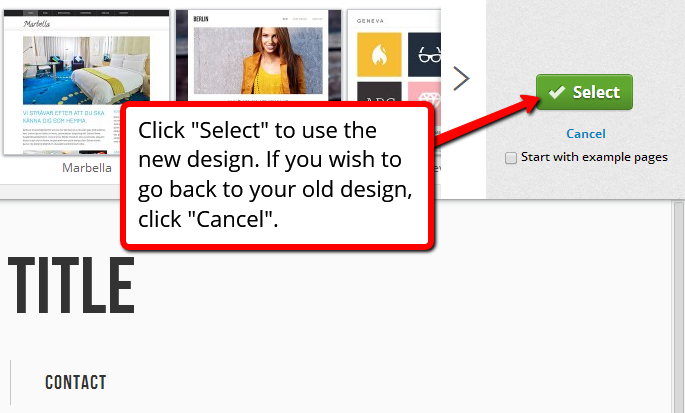 When you select a new design, you will be prompted to the dialog box below. Check the settings you wish to keep. What happens to my content when I change the design template? Your page layout will not be affected when you change the design template, so you don't need to worry about your actual content. However, every design template has its own width and height which could change the size of your blocks. This means that the shape of your content may be slightly altered between different design templates. Can I switch back to my old template? Yes you can. 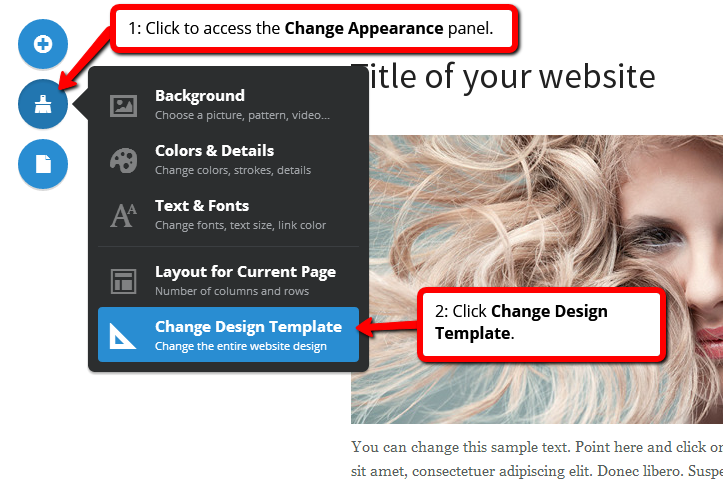 Simply choose your old template in the "Change Design Template" panel, and make sure that you tick the boxes described in Step 4 to keep your old customizations. Please note that you will need to re-upload your background image after changing design template.